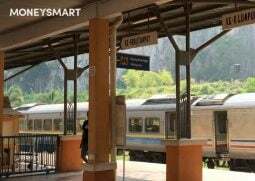 If you are currently on a SIBOR-based home loan package, you need to take action now. The Singapore Interbank Offered Rate has risen sharply in 2018 and the SIBOR forecast is headed to a 10-year high. For those who have taken out floating rate home loans, or for those coming out of fixed rate home loans, your interest rates are usually pegged to the SIBOR or SOR. When SIBOR rates rise, that means you need to fork out more cash in home loan repayments every month. That could explain why so many Singaporeans are scrambling to refinance right now in hopes that they’ll be able to get a lower interest rate. Why is this happening and should you be following suit? Here are some things you should know. Beginning in around 2009, the SIBOR hit historic lows. This made home loans very cheap, which was obviously good news for homebuyers. The SIBOR trend was stable for so many years that many homebuyers didn’t think twice about signing up for floating rate home loan packages. But beginning in 2015, the SIBOR has been on the rise, and the trend shows no signs of stopping, with the SIBOR forecast also taking into account what we already know about the US Federal Reserve interest rate. 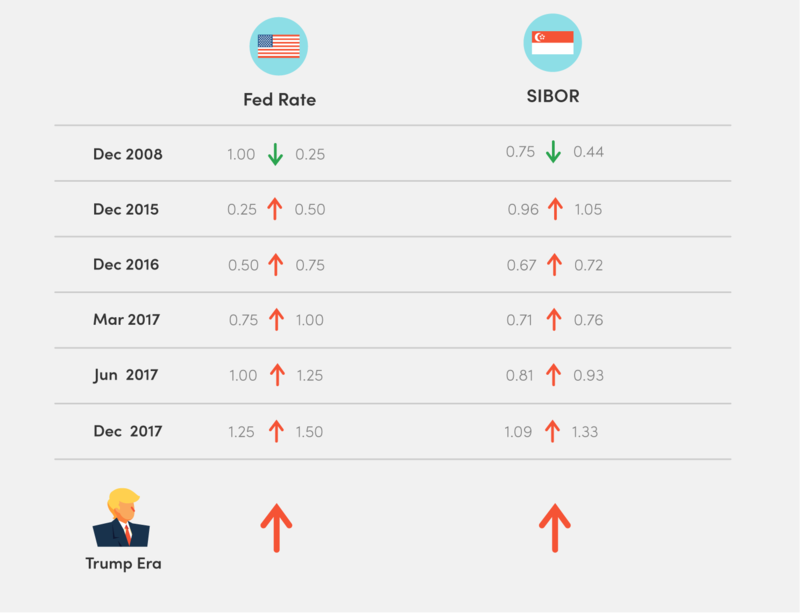 The US Federal Reserve has raised interest rates four times since late 2016, which caused the SIBOR and SOR to rise in tandem. The latest was in December 2017. The SIBOR trend is closely linked to the movement of the Fed interest rate. The bad news for homeowners is that under Trump, rate hikes are likely to happen more often, with at least three scheduled in 2018 and 2019. This means that the SIBOR forecast may soon reach levels we’ve not seen since the start of the decade.As you can see, each recent change in the Fed rate – a sharp decrease in Dec 2008 and steady increases since Dec 2015 – has resulted in a subsequent drop and hike in the SIBOR in the following month. 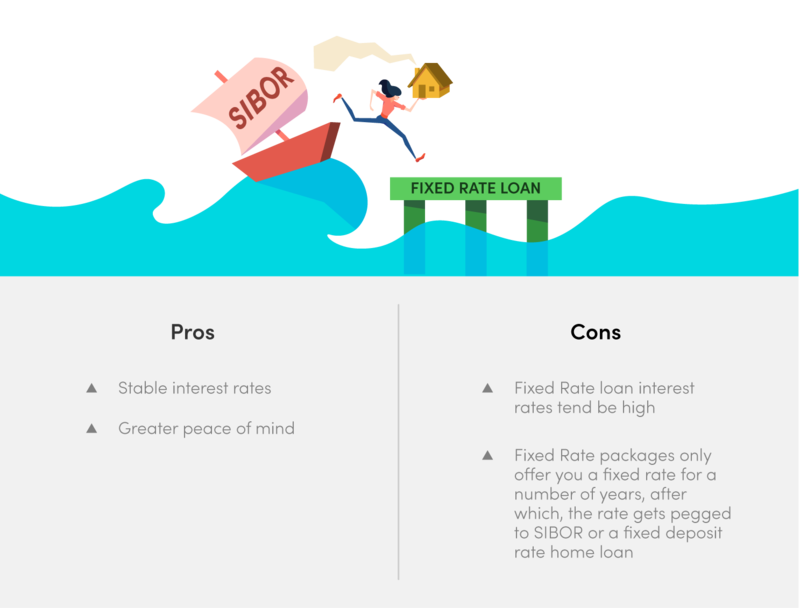 While floating rate home loans looked like an attractive choice due to the low and stable interest rates Singaporeans enjoyed for a few years, the prospect of a skyrocketing SIBOR trend in 2018 has convinced some people to refinance their floating rate home loans in favour of fixed rate home loans. Note that this isn’t necessarily a good financial decision. 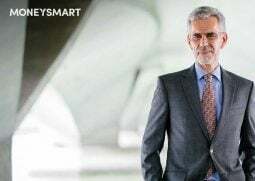 Fixed rate home loans can give you greater peace of mind and stop you from getting a heart attack every time you receive your latest home loan bill, but that doesn’t mean you might not still be paying more overall, since fixed rate loan interest rates tend to be relatively high. 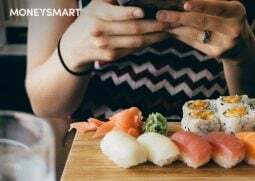 What’s more, most fixed rate packages only offer you a fixed rate for a number of years, after which your interest rate gets pegged to the SIBOR or a fixed-deposit rate home loan just like everyone else’s. 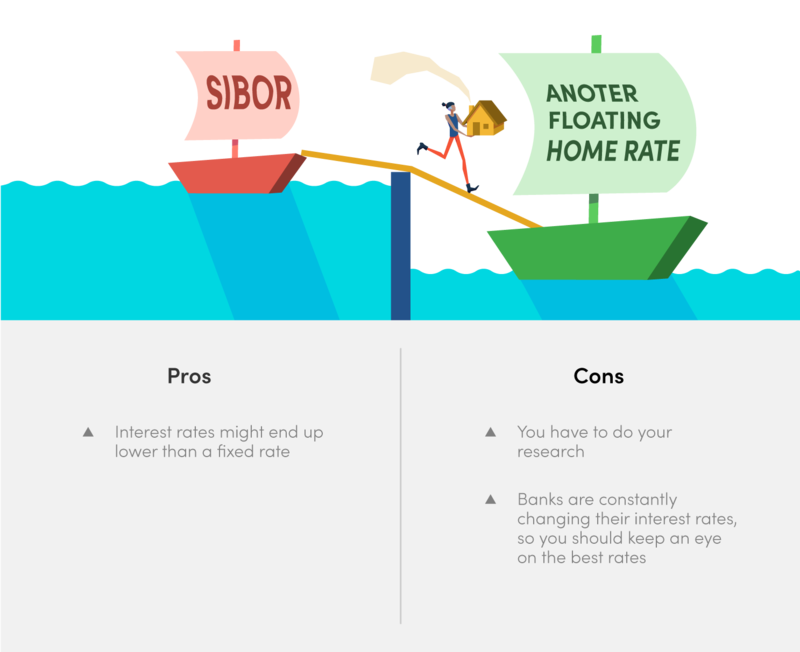 Even if you aren’t looking to switch to a fixed rate home loan, refinancing to another floating rate home loan not based on the SIBOR might be a smart move. Such loan packages are known as fixed-deposit rate home loans. At the time you took out your home loan, you might have enjoyed the best interest rates in town. 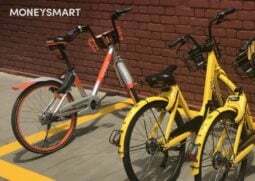 But depending on their internal forecast, banks are constantly changing their interest rates, and whoever was offering the cheapest package last year has probably been upstaged by someone else. 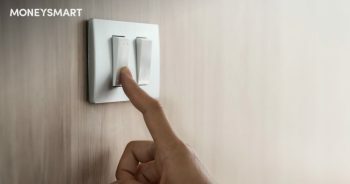 In light of rising interest rates, homeowners are likely to feel the pinch and be motivated to refinance to get a lower rate. The shorter your loan, the less interest you’re going to pay over time, even at a higher interest rate. So those who can afford to pay back their loans more quickly might want to consider refinancing to a shorter loan—after all, if interest rates are going to be higher, you want to be paying them for as short a time as possible. 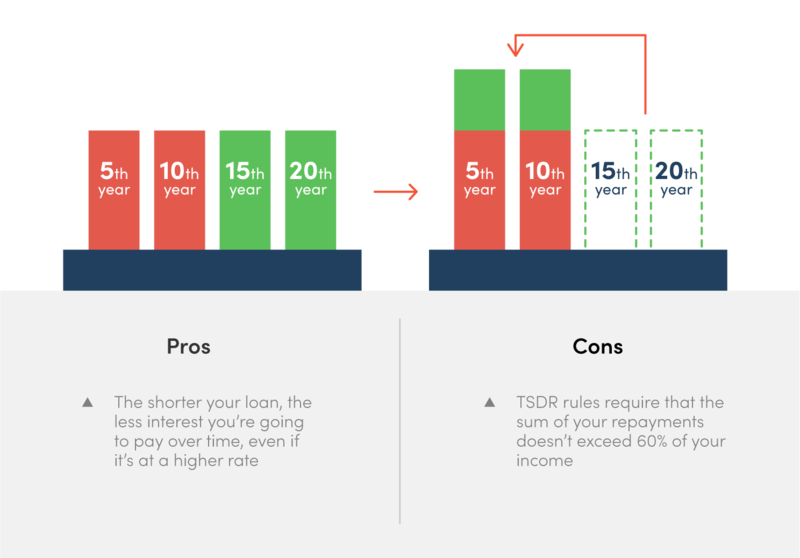 However, do note that if you wish to do this, you will have to ensure that you have a lot of wiggle room income-wise, as the TDSR rules require that the sum of all your loan repayments (your home loan + any car loan, education loan, credit card debt, personal loan etc) do not exceed 60% of your income. If the SIBOR trend in 2018 has thrown you into a panic and you’re thinking of doing one of the above, never forget that refinancing is going to cost you money—in the form of legal fees and pre-payment penalties, if any. Don’t forget to take that into account when calculating how much money refinancing actually saves you. Find out if now’s the right time to refinance your home loan by comparing SIBOR and non-SIBOR linked interest rates using MoneySmart’s refinancing wizard. Now that the SIBOR is rising, what do you think homeowners should do? Share your opinions in the comments!